My anticipation for Dr. Seuss's birthday is at an all-time high. On March 2nd, children's books and the act of reading to children is viewed as a cause for celebration. Schools, communities, and retailers (Target has activities planned for Feb. 25) plan events and activities to allow children and families to have fun with some of most beloved children's books of all time. Adding to the excitement this year is the release of The Lorax movie which conveniently opens on March 2nd. Normally, I elect to publish my posts the night before the author's birthday. However, this year I couldn't wait to share our celebration and I wanted to give all of you a chance to share your ideas by linking up at the end of this post. My excitement is most evidenced by the fact that I planned ahead enough to get my hands on a few Dr. Seuss books at my local library a couple of weeks ago. They tend to get snatched up around this time each year by enthusiastic Seuss fans! My choices were The Butter Battle Book, Daisy-Head Mayzie, and Scrambled Eggs Super. 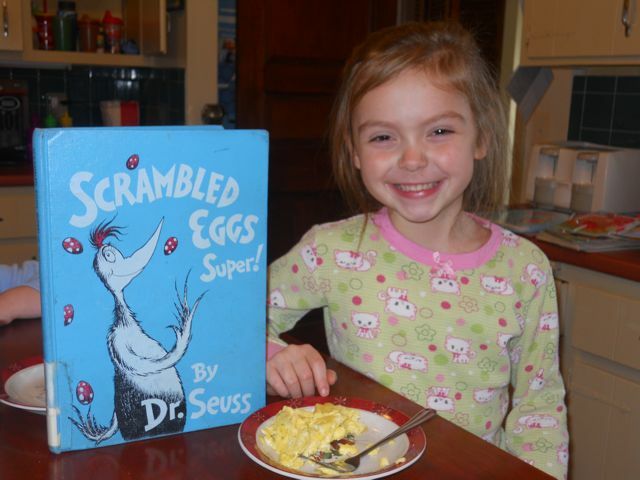 Of the three books, we had never read Scrambled Eggs Super and it became the focus of this year's birthday celebration for Dr. Seuss. In this book, Peter T. Hooper is bored with plain ol' scrambled eggs and decides to hunt for eggs from birds of all shapes and sizes to try to improve this simple breakfast meal. In the book, Peter T. Hooper introduces us to birds like the Ruffle-Necked Sala-ma-goox, the Mop-Noodled Finch, and the Long-Legger Kwong. To create some of our own birds we thought we needed to start with a creative name. To do this, I came up with the idea of making a Bird-Name-Generator. Once the generator was complete it was comprised of three piles of cards. We started by making the last pile. On small strips of paper, we wrote the names common birds in our area -- cardinal, sparrow, hawk, duck, woodpecker. My children used a bird field guide to find the names. As we were compiling the bird names we took notice of descriptive words that were in the full name of many of the birds like breasted (White-breasted Nuthatch), throated (Ruby-throated Hummingbird), and bellied (Red-Bellied Woodpecker). These words made up our middle pile. Lastly, we made our first pile of cards. 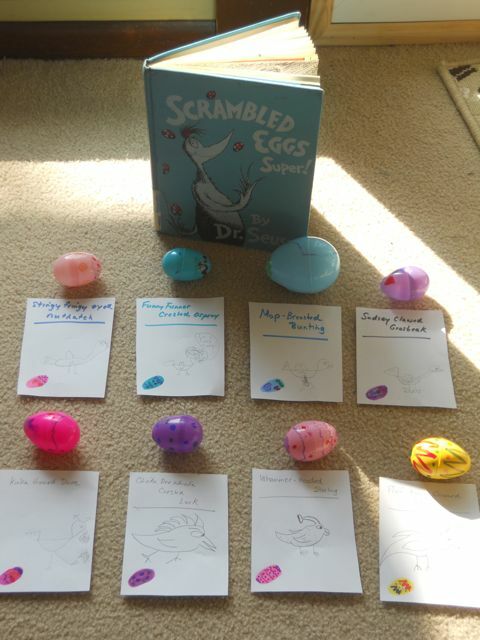 This pile was made up of words that we found to be silly, like spritz or snapple-bapple or favorites from Scrambled Eggs Super like beagle and ruffle! We stacked the cards into the three piles and placed them face down. 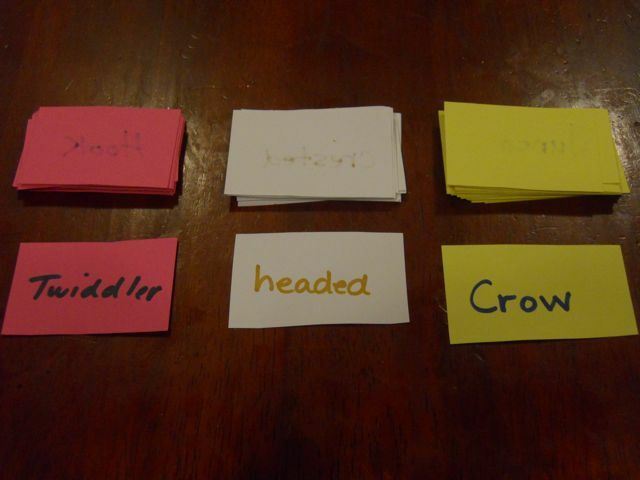 Then, we picked one card from each stack to generate our bird name. We came up with names like the Spritz-tailed Wren, Whammer-Hooded Starling, and Frizzle-bellied Hawk. With each pull of the cards my children were laughing out loud! We paused for a little breakfast of scrambled eggs! 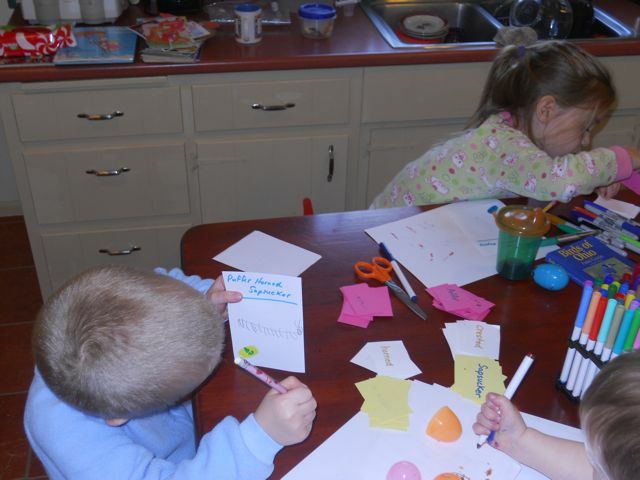 Then, it was time to design the eggs for each bird name. We had tons of plastic Easter eggs in our house. 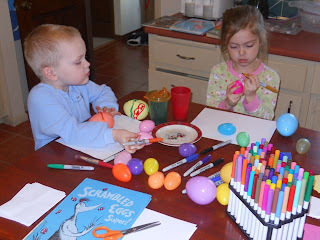 We decorated the eggs with designs and patterns by using Sharpie Markers. The next step involved cataloging our eggs. First, I wrote the name of the bird on top of a piece of scrap paper. 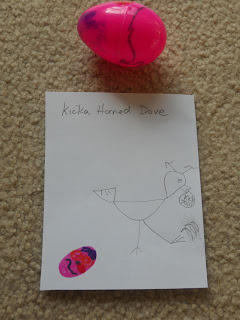 Then, drew a thumbnail sized picture of the bird's egg that the kids created in the bottom corner. Then, my children drew a picture of the bird. Here are a few of my son's creations -- the Snapple-Dee-Nanner-winged Bluebird, the Spritz-tailed Wren, and the Beagle-footed Turkey. They were so excited about making the eggs that we ended up with 18 different eggs. Pictured here are 5 from my daughter and 3 that I designed. My son did 10 by himself! This was my daughter's favorite creation -- the Kicka-horned Dove. Notice that the bird is kicking and it is calling "Kick-you, kick-you". The last part of the activity was to have an egg hunt. 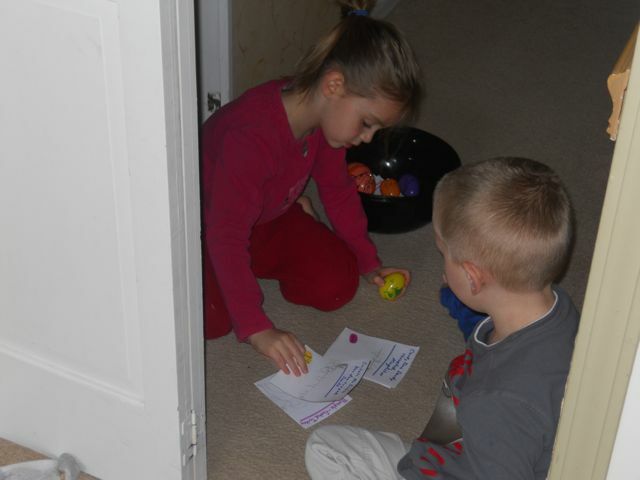 We hid the eggs all over the house. 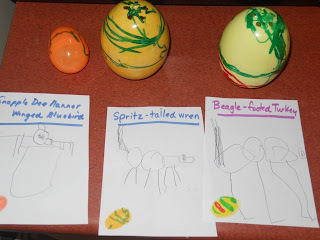 The finder of the eggs had the bird information sheets we made to help them identify the bird egg when they found it. I would love hear about your ideas of how to celebrate Dr. Seuss's birthday. The linky list for this post has expired, but a new list was created. Click Here to link up your activities! Thanks Nicky! His work has been an inspiration to so many people! Cheers! 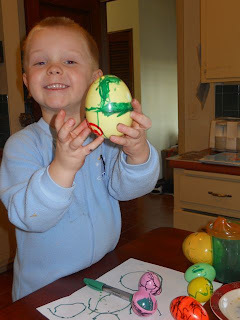 What a great idea Eric, sounds like your kids had a lot of fun colouring the eggs. I loved the idea of bird-name-generator, and your daughters creation. I enjoyed this post. Thanks Diane! I am so glad you enjoyed the post! I was so thankful that the activity went well! It was a great way for my kids to have fun on a day off from school. Your kids look so adorable each time, I just want to give them all cyber-hugs! Dr Seuss's influence on children's literature is immeasurable. You mention a couple of titles, that I don't know!! How many books has he written. I guess one great way to celebrate would be a back-to-back reading of all that fun! Unfortunately we are on holiday on March 2nd or I would have proposed something in our school library! Thanks for a lovely post, Eric. Thanks for the cyber-hugs! I am unsure exactly how many books he wrote, but last year my daughter found a list on the back of a book and was determined to read as many as she could. This is one reason why I chose Scrambled Eggs Super, because I hadn't read it to them before. My favorite book by Dr. Seuss is If I Ran the Circus. This was also a book I discovered celebrating his birthday. You always seem to do the most fun projects with your kids. Thanks for sharing! Thanks Monique! This one was a lot of fun! I hope I can keep coming up with the ideas! This is a very creative blog, Eric! Loved the lesson plan idea and photos of your adorable kids! Are you also a teacher? Tina - I was a teacher for five years at the elementary level. I decided to leave teaching and stay home when my daughter was born almost 7 years ago! I started celebrating author birthdays with my students in the classroom and decided it would be fun for my family too! Hi Eric, I'm a new reader from www.tailormademomma.com and I'm truly in love! I love the ideas that you included and I will definitely be back to share one or two of my own! These really are fabulous! Cristina -- It was so nice to connect with you today! This is wonderful and what great activity ideas. I'm going to share on my facebook book page. Thanks for posting. Thanks for sharing Jackie and thanks for following me on Pinterest. I followed you back! I can't decide if you're mad or a genius or a mad genius. I thought the name generator was a brilliant enough activity all by itself (I want a Twiddler-headed crow!). But wait, there's more! By the time I got to the end, my mouth was on the floor. I am truly in awe of you and would be happy to accomplish with my kids even a tiny fraction of what you do with yours. Bravo. Thanks Renee! "Mad Genius" -- I kinda like that! My kiddos loved the name generator. Every name that came up was hilarious! They were cackling all morning! Thanks for the linky! 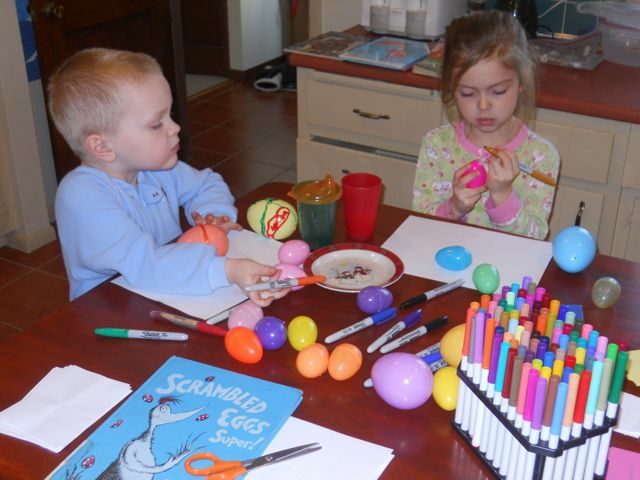 Sounds like your kiddos had fun with Scrambled Eggs Super!-- haven't heard of that one before! Your welcome Kristina! I loved your smoothie recipe -- It sounds sooooo good! Thanks for linking up! Love your post as always--especially since you're celebrating the birthday of one of my all-time favorite authors! I love the fact that some of the restaurants will be serving green eggs with their ham to celebrate Dr. Seuss's birthday! Thanks again for stopping by Sandra! I am so excited for Dr. Seuss's birthday. I can't believe I was able to plan ahead. I am always working on posts the night before an author's birthday! I think I am up for some green eggs and ham! What are favorites Natalie? I remember reading Hop on Pop with my dad. I also remember loving Mr. Brown Can Moo and The Sneetches! Thanks for the invitation to link up. Great activities! 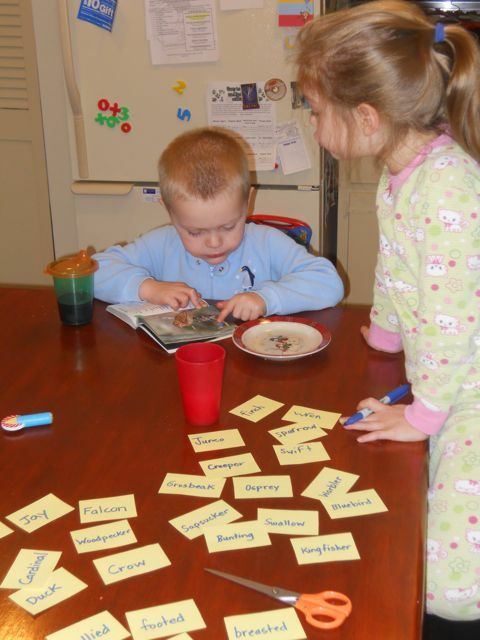 Allison - I am so happy you came by to link up your activity. Thank you! Heather -- Thanks for coming by to link up! I really appreciate it! Thanks for posting the link too! Happy Birthday Dr. Seuss! Hey- thanks for letting me know about your blog and inviting me to link up! Shared on facebook for ya! I am so glad you linked up! I appreciate you sharing the post on FB! We are throwing a pretty cool birthday party for Dr. Seuss! I have to echo, word for word, Renee's comments. I'm feeling like a very inadequate mother, creatively speaking, right now. Julie, this activity kept my children and I busy most of the day. Which was really important because it was a day off school! Those can get a little hairy sometime :) Thanks for reading and for commenting! You mentioned some books by Dr. Seuss I had never heard of. What wonderful activities. Thanks for sharing them. My daughter wants to read all the books by Dr. Seuss! It is fun to discover some of his more obscure titles! Happy Birthday to Dr. Seuss! Love your review, loved your activities. Thanks so much for sharing with us your great day, Eric. I can't wait to see the Lorax! It looks like it will be a fun film. My kids are excited about The Lorax movie too! You are welcome Mia! Glad you linked up! Dr. Seuss was a genious! I like your eggs. They turned out well! Fantastic idea! So creative and fun!!! Thanks Victoria for visiting! Your website is so AWESOME! I appreciate that you pinned my post -- I actually noticed in my blog statistics. Have fun celebrating! Bobbi -- Try to link up again to get the picture you want. I can delete the link for you that has the wrong picture. Thanks for the invite! I added my Lorax Cupcakes! Looks like a fun party! Yay! Thanks for sharing! I really want one of those cupcakes! Thanks for inviting me to the party. I love your activities for this book. Neat concept for a blog too. Thanks for linking up your Dr. Seuss inspired pencil toppers! Very cool! I'm so glad you commented on Sewing School - I love this idea for a blog and will have to come back often for great ideas. Thanks for inviting me to your party! Yay! So glad you linked up your Daisy Head Mayzie! My daughter loves the book. I think she will love seeing the picture! I hope you come back often! How cool to catalog the bird names like that. What an authentic writing/drawing experience for the kids. We are going to have to find time for this. It sounds so fun! Thank you so much Jackie! I would love to hear about your experience if you do find time for the activity! Thanks for checking out LilBookChompers.com! I love your ideas above- so much fun and so engaging! I'll be sure to check out your site again soon! So glad you stopped by and linked up. Feel free to link up all your activities -- maybe it will get us to 100! Thanks for linking it up with us! Just pinned it to my Dr. Seuss board!